Greg Packwell and his black Labrador Retriever had been to the park on the banks of the Cowlitz River before, but this time was different. As the dog was playing in the shallow waters, he suddenly got stuck in the mud at the bottom of the river and couldn’t move. When Packwell went out to rescue him, he began to sink in the quicksand-like muck, too. Packwell called 911, and firefighters arrived on the scene. By the time they showed up, the dog was already shivering from the cold after being chest-deep in the water for over 20 minutes. 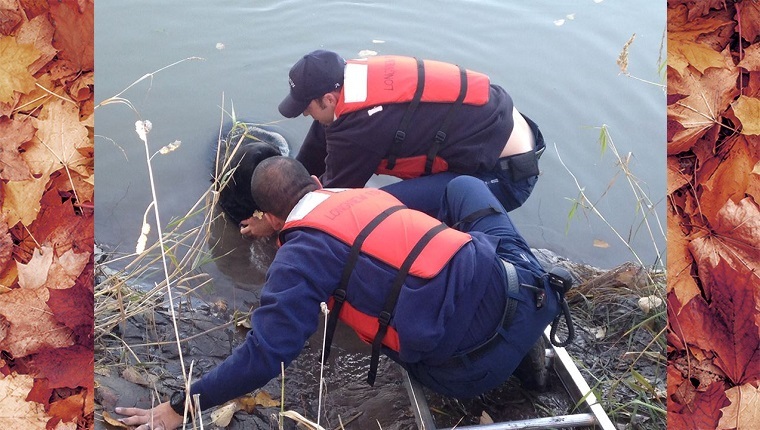 The firefighters put on life jackets and, in order to avoid getting stuck themselves, placed a ladder into the water near the pup and walked out. 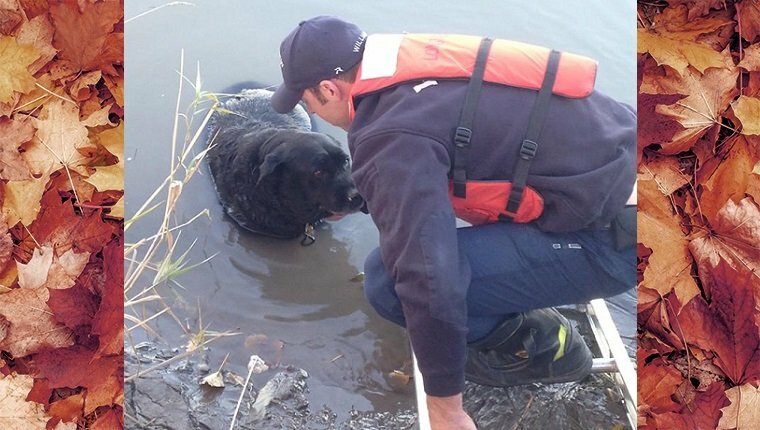 Two firefighters dug with their bare hands in the muck and, eventually, managed to pull the dog free. When they got back to shore, the pup was too weak and numb to even stand on his own. The firefighters wrapped the dog in blankets and placed him in Packwell’s car to warm up. After having some time to get the blood flowing, the dog recovered. Always be careful when playing along bodies of water when you aren’t near a designated beach. If you don’t know what the conditions are like, including what wildlife is in the area, how strong the currents are, and what is at the bottom of the water, avoid allowing your dog to swim. There are plenty of safer places to enjoy a dip.